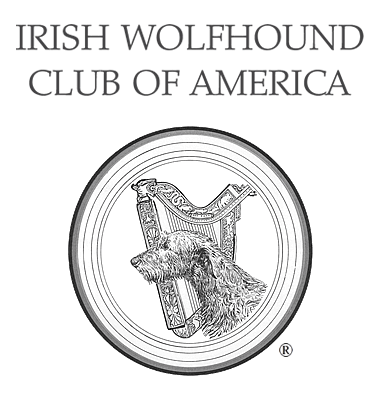 Socializing your Wolfhound Puppy - Irish Wolfhound Club of America, Inc.
Good behavior starts with good temperament! If you don’t know how to choose a breeder, read the pertinent articles on this website and then go to the Breed Contacts list. When you go to pick up your pup, you should see the mother of the litter. If there’s anything you don’t like about her behavior, don’t buy a puppy. Temperament is inherited from both parents, and a pup also gets all its early training from its mother. Play with the pups. Are they outgoing and friendly? A bad temperament is not going to improve, no matter how cute the pup, how far you drove to see it, or how long you’ve waited. Shyness and aggression are both bad. A shy pup may grow up to act aggressive out of fear. Aggression in a dog the size of a Wolfhound is very dangerous! You should not be allowed to take a pup home before the age of 10 weeks, and many breeders wait until 12 weeks. Until that time, the pup needs to be with its mother, and its littermates, to learn proper body language and how to play nicely. A good breeder will have begun the process of socialization, but you must continue it. Cute as your puppy is, don’t hoard it! Your dog will never again be as open to new experience. But you don’t have to let everyone pet it all the time – it is your puppy and not public property. Take your pup in for fun vet visits, and not just when it’s time for shots. Your pup will grow up loving to go to the vet. Short car rides every couple of days will teach your hound to be a good traveler. Let your puppy hear household noises such as the TV, vacuum, doorbell, dishwasher. Expose your pup to other noises: lawnmowers, jets, sirens. Your pup should meet as many people as possible, and this should include both men and women, children, older people, people of different ethnicities, people in wheelchairs, people wearing dark glasses or floppy hats, and people who smoke. If possible, a ride in an elevator will be a good experience. Your pup should walk on different surfaces: grass, paving, gravel, soft carpet, even slippery floors, although you must be careful not to let it get hurt or panicked. Introduce your pup to as many different animals as you safely can: other dogs, cats, horses, etc. Be careful around animals you don’t know! And in all these adventures, your pup should be on a leash. Puppy kindergarten is a great way to socialize your puppy, and it also serves as an introduction to more formal training. When socializing, watch your pup carefully. If it shows fear, don’t pet it or say, “Good boy.” Instead, say something cheerful like, “Don’t be silly, that’s just a cat,” but let the pup approach at its own pace. You want the experiences you’re offering to be positive ones. Try to do one new thing every day for the first month or so, but remember your pup is a baby! It will get tired and need to rest often. Short, frequent periods of activity are best. And never leave your pup in the car for any length of time, if it’s even a mildly warm day. The inside of a car gets very, very hot very quickly, especially in the sun, and you are risking its life to leave it there, even with the windows partly open. The pup’s welfare always comes first. But a well-socialized pup will grow into a wonderful hound. This page was last updated 09/15/2018.